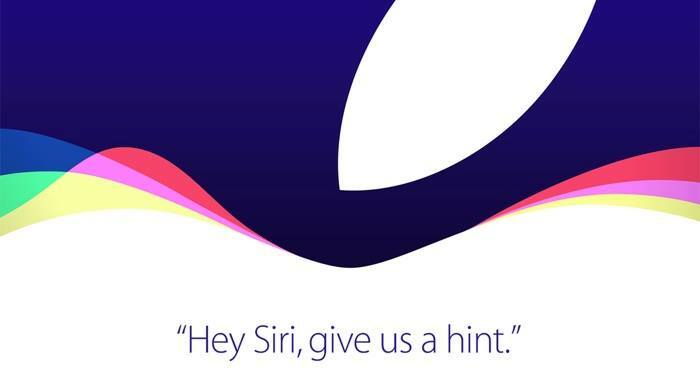 It’s official: Apple’s next release is coming on September 9. 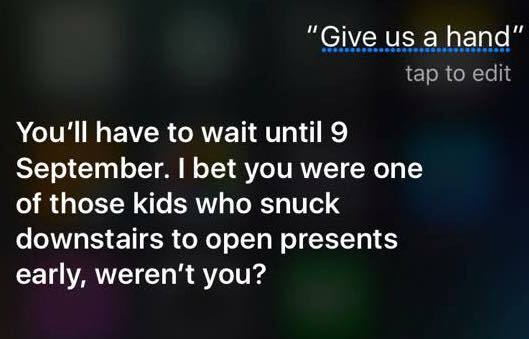 This year’s invite comes with a little hint; all you have to do is tell Siri: “Hey Siri, give us a hint”. 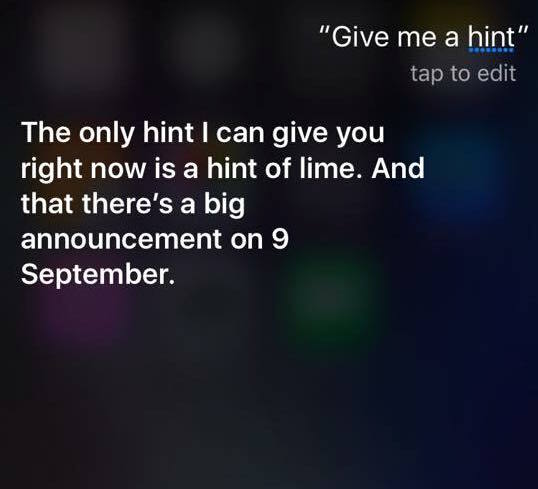 Siri will then drop you a date for Apple’s next announcement — until she gets tired of you asking and starts dropping snarky retorts instead. 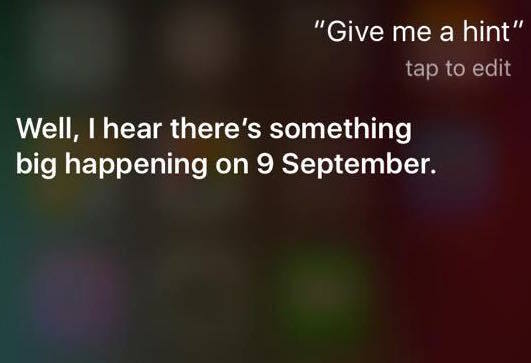 If everything goes as per Apple’s tradition, September 9 will bring with it the announcement for the latest iPhone release, which currently seems to be the iPhone 6S, and perhaps an iPhone 6S Plus. This may also come with an official release of iOS 9, which has been in beta for the past month or so. 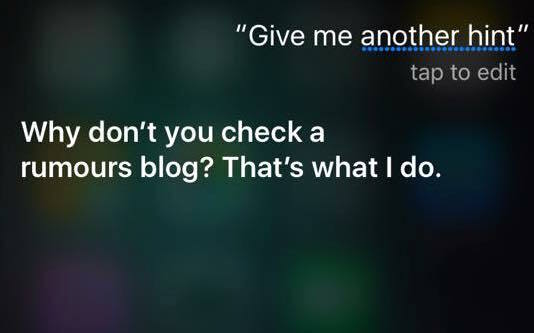 And if this invite is anything to go on, Siri is going to have a major update. Perhaps one to match Facebook messenger’s M?